Hey everyone! I hope you all had a relaxing weekend. Yesterday marked the 15th anniversary of Max Payne 2! (How did that happen?) If you were around the community yesterday you may have seen some new articles, fan art and videos in tribute to the milestone (links for some of the wonderful community creations coming soon!). The studio also commemorated the year with a video from Sam Lake, followed by a giveaway ten minutes after. 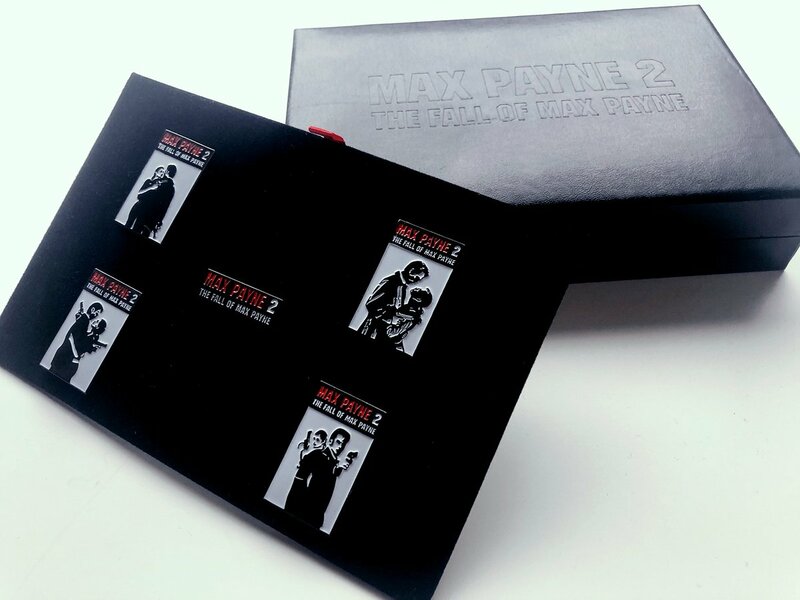 Up for grabs is a beautiful and rare piece of Remedy history, a Max Payne 2: The Fall of Max Payne pin set in a rather fancy display case! To be in with a chance of winning a piece of Remedy history, all you have to do is answer a riddle and post your answer in response to their tweet. The riddle is: If Max had traced Mona's phone call, he would have found her in Hong Kong. But from what location was she actually calling from? You may already have the answer with Remedy's hint, but if you need additional prompts, ComunidadRemedy, PayneToTheMax, PayneReactor and The Sudden Stop have been given permission to include an additional clue. Make sure to get your answer in quick as it's open for just 48 hours! (Closes Tuesday 16th October 2018 at 18:00 BST, GMT +1). The giveaway has now ended and the winners contacted! Remedy selected five winners from the list of fans who answered correctly on Twitter, and should be getting their pins soon if they haven't already.